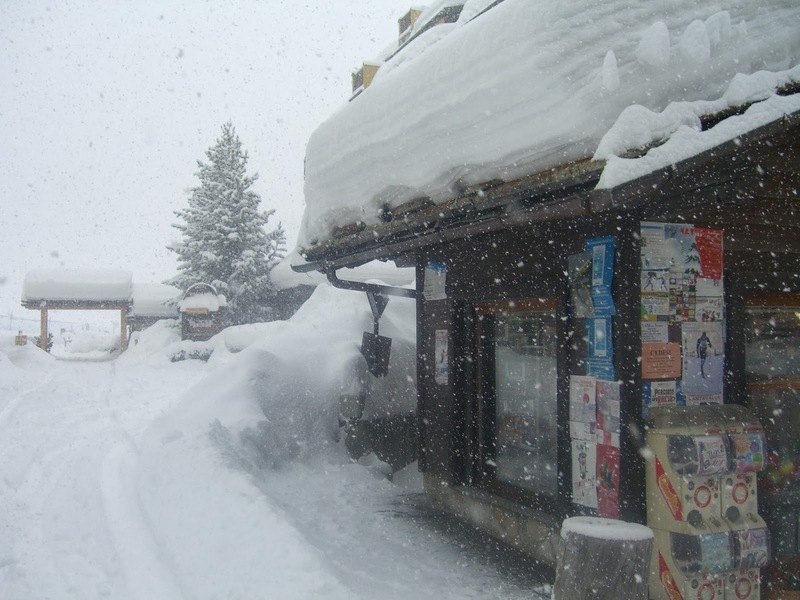 There’s a lot of snow in Cogne, a whole lot of snow. 1.5-2 meters when we arrived on Saturday, 08. February. It snowed on Monday and it is now snowing again, today, Thursday, 13. February. By tomorrow morning there will be an additional 20-40 cm. That will bring the total snow to well over 2 meters. Tuesday and Wednesday, 11. & 12. February were cold and sunny. Yesterday, got pretty warm in the sun, but the high temperature was still only -5. 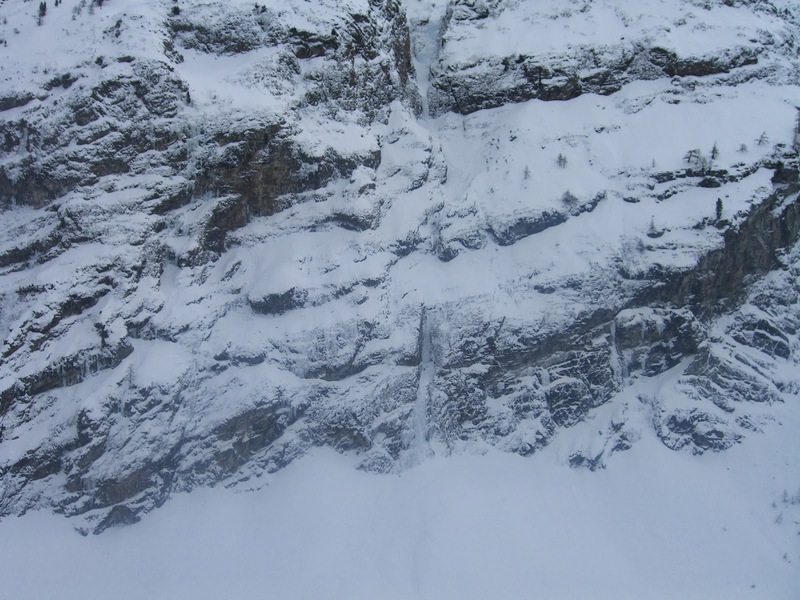 There was an avalanche cycle that started on the the west-facing ice falls with the accumulation of new snow on monday. There were very large, and multiple, fresh snow slides over the climbs in the “Cold Couloir” - “Stella Artice” - “Tutto Relativo” sectors. The avalanche cycle continued on the east-facing climbs on Tuesday. The sun warmed up the upper snow slopes above “Lauson” - “Thoule” - “Sogno di Patagonia” - “Erfaulet”, in the Valnontey and there were numerous avalanches that we saw from across the valley as we were climbing in the “Patri” sector. There were no parties climbing across the valley, most likely because the ice conditions in most of the climbs on the east side of Valnontey are not well formed and in optimal shape. In general the ice conditions on the west-facing aspects are in very good conditions. There are many short reports in the climbing book and Lacone’s bar, and on their webpage: http://www.iceclimbingcogne.com. Most of the entries are from “Cascata Lillaz”, “Tuborg” and “Candelabro del Coyote”, the popular, standard climbs. The easy to mid-level climbs at WI3 to WI4+ have all been repeatably climbed and have steps and hooks throughout. Both in the Lillaz valley and in Valnontey. There is also a lot of snow between the steeper ice sections. The easy couloir-type climbs are more or less snow climbs. There are a number of hard to extremely demanding lines that are in good to very good shape. In Lillaz valley “Lau Bij” WI5-WI5+/6 has formed with three free-standing columns. “Pattinaggio Artistico Direct” WI5+ has not formed, and I do not think it will this season, but the mixed variation from Stevie Haston, “X Files” M10 has two nice ice blobs and looks quite nice - there were some climbers hanging on it yesterday. Right next to “X Files” is “Hard Ice in the Rock”, the direct variation, “Hard Ice Direct” WI6 is well formed. It was also climbed yesterday and I would love to be able to get on it. Further along in the valley, another one of Haston’s climbs, “Gelati” M8/WI 5+/6 looks great. “Stella Artice” WI5 is well formed and has been climbed often. 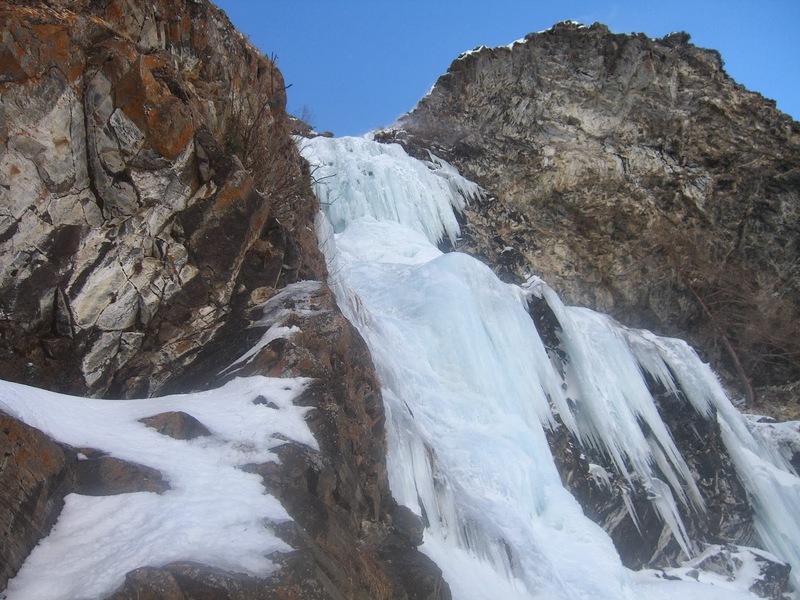 “Inachevee Conception” WI5+/M5+/6 is all ice this season and the transition to the ice in the second rope length id to a well bounded column and not a hanging dagger. The signature hard mixed routes of the valley, “The Empire Strikes Back” and “Jedi Master” have a lot of ice in them, but at M10-M11 are something that I will not be getting on just yet. In Valnontey, the classic hard ice route of Cogne, “Repentance Super” WI5+/6 is very well formed and has had a number of repeats. At the head of the Valnontey, also west-facing, “Doccia Fredda” and “Sentinel Ice”, both at WI5, have formed. Across the valley the ice looks a bit rotten in the harder climbs lining the first two-thirds of the valley. “Erfaulet” WI5 is completely full of snow. “Di Fronte al Tradimento” WI5 and the “Colonnato Centrale” are standing and look okay, maybe a bit harder because of the ice conditions. However, the snow slopes above are problematic and potentially dangerous. Of course, I haven’t seen or climbed everything here in the past week. I think that the conditions will remain good to very good. With luck the weather will be sunny during the day with high pressure that will convert all the snow into a water source to feed the ice and bring clear skies with cold night-time temperatures. If this pattern plays out than the climbing will be good well into March.